RWA/NYC wishes to add a little romance into your holiday season. Join us this week as we showcase our member authors and their Favorite Things! we wish you a Merry Holiday. My favorite thing? A wonderful love story. My heroine's favorite thing? Champagne for Christmas and her honey, Clint, of course! ABOUT THE AUTHOR: Jean Joachim is a best-selling romance fiction author, with books hitting the Amazon Top 100 list since 2012. 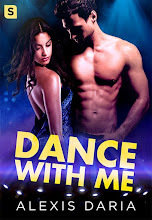 She writes mostly contemporary romance, which includes sports romance and romantic suspense. Dangerous Love Lost & Found, First Place winner in the 2015 Oklahoma Romance Writers of America, International Digital Award contest. The Renovated Heart won Best Novel of the Year from Love Romances Café. Lovers & Liars was a RomCon finalist in 2013. And The Marriage List tied for third place as Best Contemporary Romance from the Gulf Coast RWA. To Love or Not to Love tied for second place in the 2014 New England Chapter of Romance Writers of America Reader’s Choice contest. 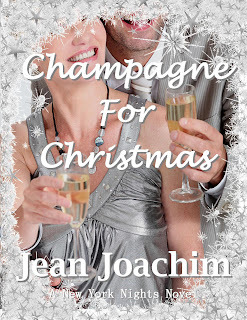 Jean was chosen Author of the Year in 2012 by the New York City chapter of RWA. Jean has 30+ books, novellas and short stories published. Find them here:http://www.jeanjoachimbooks.com. Sign up for her newsletter, on her website, and be eligible for her private paperback sales.